Simmons trail cameras are known to be dependable, easy to use and reasonable priced compared to other brands of trail camera. 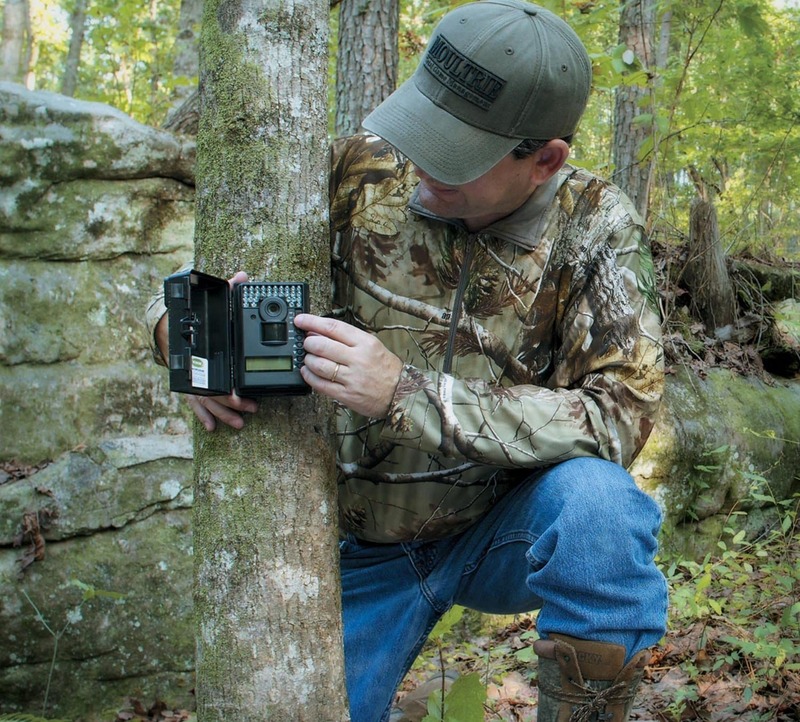 Though there are only four models that have been introduced by Simmons; there is no compromise on features and specs required of a trail camera. The four models introduced are – 119 234C, 236C, 421C and 422C. All of them come with a 32 GB SD card and video mode. 234C is a low end camera with resolution setting of 2-4 MP and a limited detection circuit of 25 ft. 15 Glow LEDs spread the flash zone to a mere 25 feet. 236C has a 5-6 MP resolution with detection area of 30 ft and flash circuit of 40 ft. The battery life is 6 months as it uses 4 AA batteries. 421C is more advanced with three resolution settings- 3, 5 and 7 MP. It has a detection area and flash area of 45 ft.
422C is the only invisible camera, which comes with 32 “no glow” LEDs that cover 45 ft of ground. Amongst the Simmons cameras, it also boasts of the highest battery life of 9 months. The case looks clean and sleek, but is very rugged and can take a couple of beatings without damaging the camera. The downside is that it uses 6AA batteries instead of 4, but buyers will get a lot more features in this upgraded version. Motion sensing with the built in PIR sensor is good up to 40ft, and combined with the 1.2 second trigger speed works considerably well inside or outside. Video is taken in standard definition, but it still lasts long up to 60 seconds, allowing you to get a good creation out of the limited space. Simmons is playing a numbers game when it comes to their cameras, and introduces this medium priced 4MP unit that is not bad at all. While most people will balk at the low MP, it should be noted that while it does take video the bread and butter of this camera is definitely the photos. Buyers can use the 2 or 4MP option when taking photos, opting to save battery and space. This will extend the already stellar 6 months of battery life that only uses up 4AA batteries, making it a hard find in today’s battery sucking market. It has support for up to 32GB of SD card memory and takes great night vision photos. The case looks clean and sleek, but is very rugged and can take a couple of beatings without damaging the camera. Using the PIR sensor to its max, expect to get up to 25ft. with it going up to 30ft. This is on the smaller side and can be considered a compact camera, weighing only 12.8 ounces and having dimensions of 2.8×9.8×7.5. Buyers that are interested in photos only and a long lasting battery should pick up this camera and give it a spin. Just like the 4MP version the 6MP excels at photos, but adds a little beef to the repertoire for a more powerful user experience. The downside is that it uses 6AA batteries instead of 4, but buyers will get a lot more features in this upgraded version. It boasts full on HD photos with the 6MP, and adds some pretty good video on top of that, even though it is only standard 640×480. The 6 batteries doesn’t extend life, and instead keeps it at the default 6 month life for the series per set. A handy LCD screen is on this version and lets you control options like photo stamps and setting up camera options. At night the 18 no glow LED’s will do their job in keeping game unaware of its presence, so you get stunning photos without the blur. And up to 30ft. is the range of the motion activated PIR sensor, something that will come in handy more than people think. With support for cards up to 32GB there is plenty of room for storage. This camera works well for those that want a better version of the 4MP model, but keep in mind it is high priced. Barely squeezing into the mid-price range is the Simmons 7MP ProHunter Trail Camera w/Night Vision, a forgotten model in the Simmons lineup that is currently a steal. It could be because it’s hard to come by, but most notable about this version is that it is one of the most powerful models Simmon’s has ever produced. It produces great photos and videos with its 7MP, and has a pretty good trigger speed. When using the motion activated sensor, it can work up to 45ft. so the product does has some good range, and is also good on battery life. Images in the dark come out well using the LED night vision, but they won’t be noticed by game. Even the casing is strong, able to withstand a lot of bad elements so you can keep it in place year round. This is about as cheap as you are going to get a camera from Simmons with these type of features, which is why it is all around baffling why this is their biggest secret. Fans of the Simmons brand can make this purchase and be satisfied with the results for years. Simmons has a deceptive amount of power behind their MP, with this 5MP camera being a good example of that. 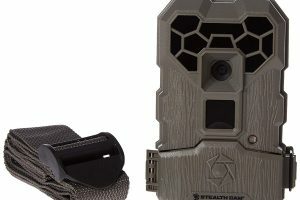 It is a high priced option for those that want a trail camera with a better case, and quality tested materials that won’t crap out on them down the line. You can count on these materials to be around for a very long time regardless of how rough they are used. Pictures that are taken with the camera can be individualized with time date and moon stamps, and that also goes for video. Motion sensing with the built in PIR sensor is good up to 40ft, and combined with the 1.2 second trigger speed works considerably well inside or outside. There are 18 black LED’s used for nighttime snaps, and in the dark you’ll only lose 10ft of coverage. Six months the camera is powered fully, and it only requires 4AA batteries. In temperatures from 15-140 degrees expect this champ to rise to the occasion when it comes to great pictures. Another good one from Simmons, this is a camera that works both for game hunting and home security. The Simmons 6 MP ProHunter No Glow LED Trail Camera is one of their medium priced cameras that can save power by being used in 4 and 2MP resolutions, respectively. By manually going down to this mode, users can extend the power of the camera considerably. Video is taken in standard definition, but it still lasts long up to 60 seconds, allowing you to get a good creation out of the limited space. If you opt to upgrade to the max 32GB card, expect for it to last a long time without you having to swap it out. But the quality of the camera compared to the others in the lineup? Pretty good actually, with a notch in their belt for night pictures. At night expect to get a really good picture, and all without alerting the people or things that are in the shot. This is a power-hungry camera, so 8AA batteries are required. Those batteries however will run for months and gives you full access to the premium features of the camera. Never has 6MP looked so good, and it comes ready to go out of the box for any willing customer.